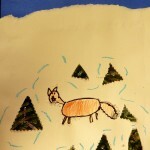 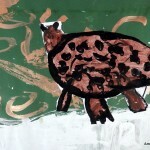 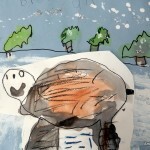 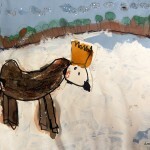 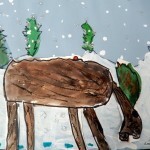 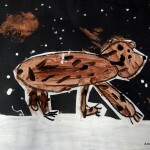 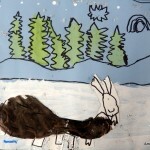 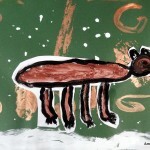 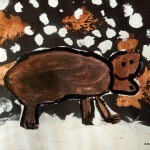 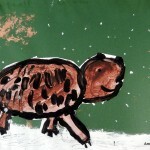 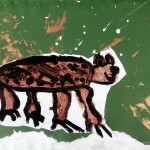 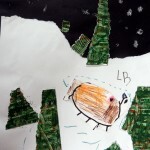 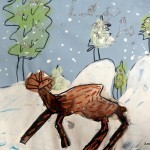 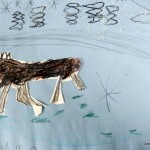 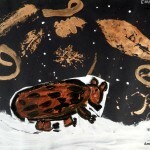 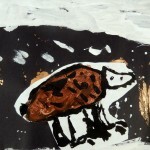 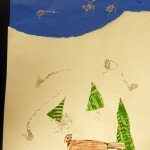 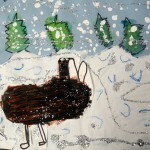 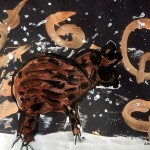 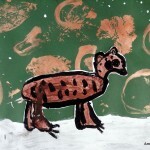 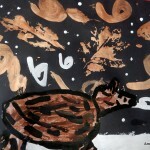 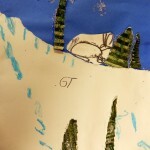 First graders looked at how different artists throughout time have drawn and painted animals in winter. 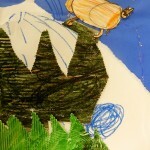 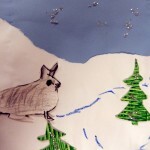 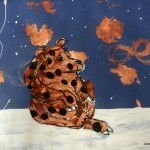 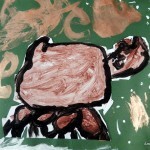 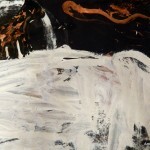 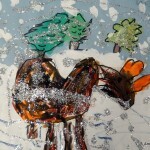 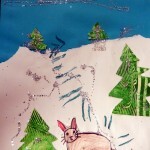 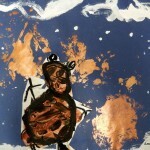 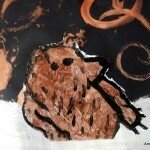 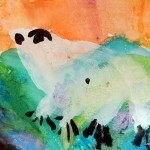 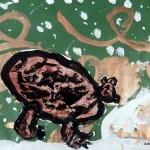 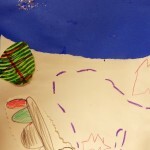 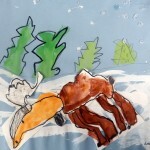 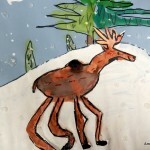 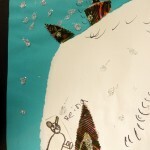 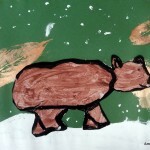 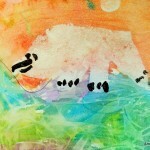 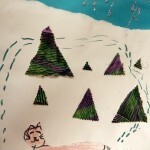 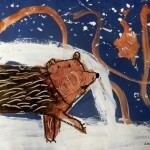 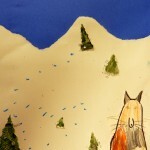 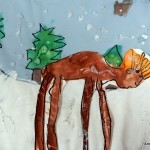 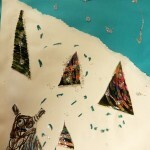 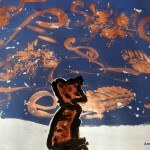 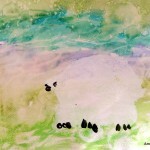 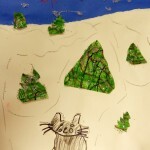 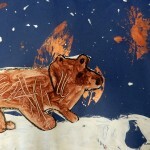 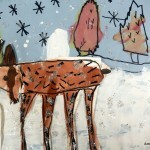 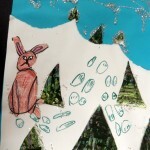 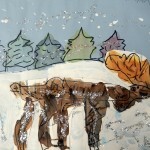 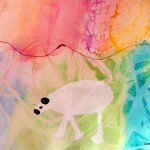 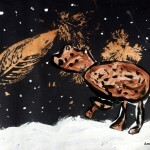 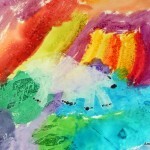 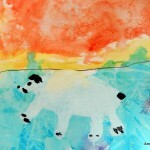 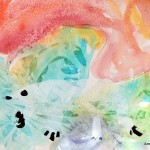 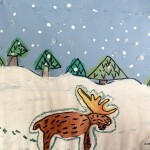 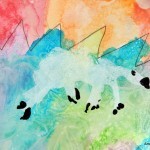 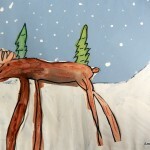 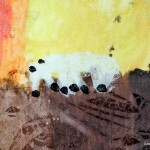 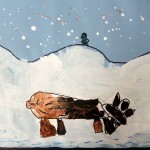 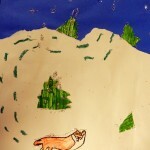 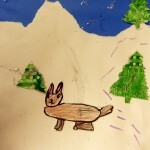 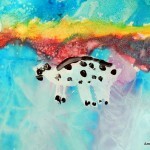 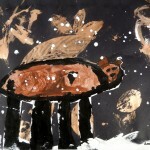 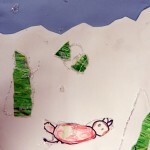 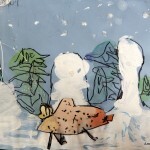 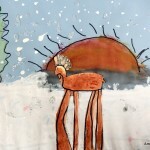 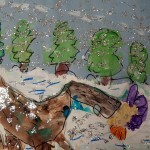 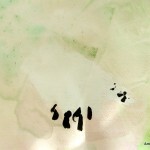 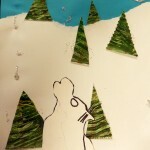 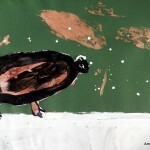 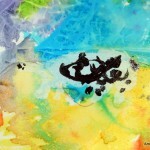 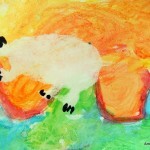 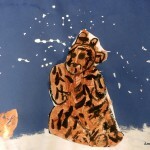 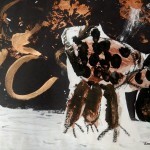 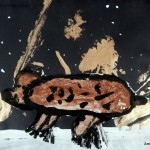 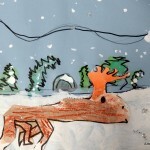 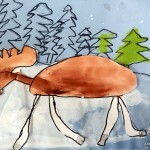 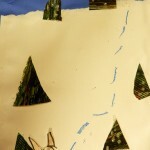 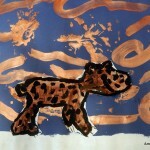 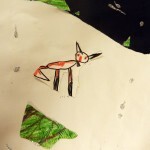 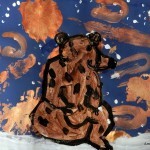 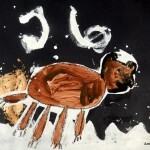 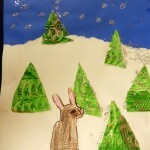 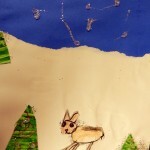 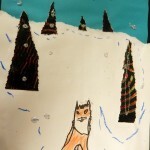 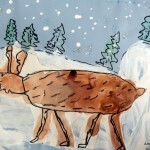 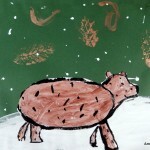 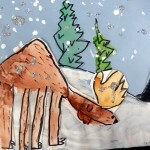 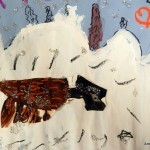 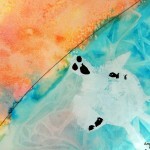 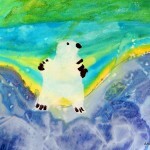 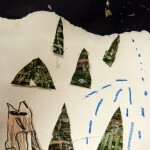 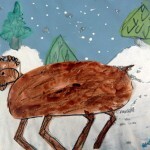 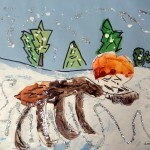 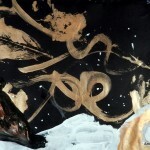 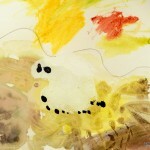 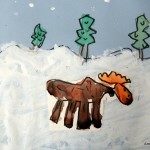 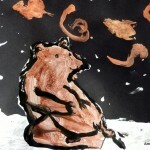 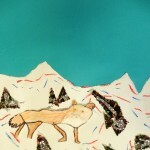 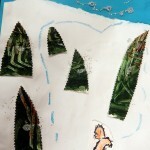 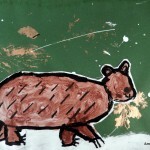 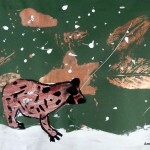 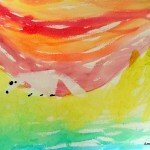 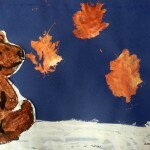 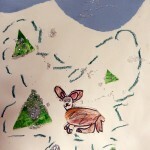 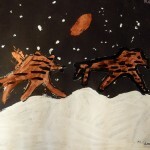 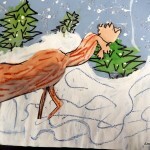 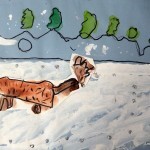 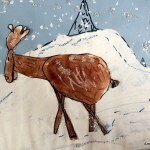 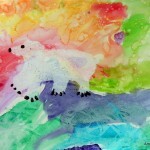 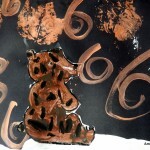 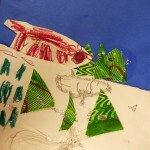 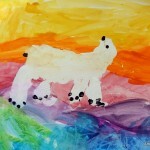 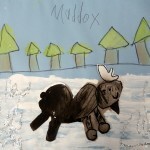 Using a variety of mediums, from watercolor to tempra paint, plastic wrap and salt, they created moose, foxes, and bears. 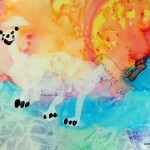 Focusing on texture, scale, and size, shadows, light and perspective, this menagerie proved to be a lot of fun to create.